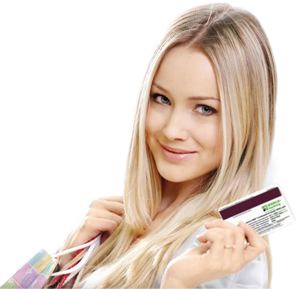 It is surprising to note that students can easily get hold of credit cards once they enter their college life. Most of the students are easily lured in by the numerous advertisements that are lined all over the campus regarding credit cards and the offers also seem to look promising. However, at such a young age, students fail to understand the right places to use credit cards and how they can use credit cards without hurting them financially. Also, students should certainly understand when and where they can use credit cards which will prove beneficial to them in the long run. University fees: All those fees and charges that are not included under the student or the education loans can be used through the student’s credit card which mainly include the ancillary items and books which are a part of attending the college and are also available at the college premises. Transportation: Even if the student has his or her own vehicle, it would be good to pay the same using the credit card. Larger vehicle repairs can also be paid using credit cards. Clothing and living expenses: A student can certainly attach his regular living expenses onto his credit card and this mainly includes all types of clothing such as toiletries and others. As a student, it is necessary to make sure that you only purchase the absolutely essential items and also make sure that you purchase items only from shops that offer items at economical prices. Mostly, there are several shops around college campuses that offer used clothing and items which can be easily afforded by students. For all these items, students can certainly make use of the credit cards. Food and entertainment: Going out for lunch and dinner is definitely expensive but cannot be cut off from a student’s life. In such situations, it would be better to carry credit cards than cash in hand. Emergency medical needs: In case of emergency medical situation, it is wise to make use of credit cards especially if you are not under any medical insurance card coverage. You can charge it on your credit card and can submit it later to insurance carriers for reimbursing your medical expense. All the above-mentioned charges can be charged on to credit cards as it is quite easy to track them and in this way, they don’t tend to make an overuse of their credit cards and end up with unpaid bills.